Taking a cue from a Star Wars Episode, AT&T Inc. (NYSE:T) staged a decision to introduce the first holographic Smartphone – Red Hydrogen One during this summer. It has already received a wide publicity through technology press. According to AT&T, the Smartphone is equipped with tools to create and view the content. Senior Vice President (Red Hydrogen One and network services marketing) of AT&T said the innovative gadget features a 4-view holographic display for better viewing. The company is putting in all of the efforts to showcase the device at Warner Bros. Studios in Los Angeles next month. Verizon Communications Inc. (NYSE:VZ), which is a rival to AT&T, is gearing up to introduce a gadget later this year. The new device will provide an innovate way to capture the videos. It will also provide more entertainment for mobile phone users. It doesn’t need any special glass to view the content. After witnessing better than expected growth for Smartphone in the early years, the wireless industry is looking for innovative features to drive the growth. According to the recent estimates, the shipments of Smartphones worldwide has declined by 3% in Q1 compared to the same period of last year. The Senior Vice President of AT&T said the new gadget will provide more advancements for the users to create/ view the content without any need for the special glass. AT&T said the company is preparing to respond to a letter received from three senators on concerns about its relationship with Michael Cohen, the personal lawyer of President Trump. The senators Ron Wyden, Richard Blumenthal and Elizabeth Warren have sent a letter to CEO of AT&T requesting for more details about the firms’ relationship with a firm owned by Michael Cohen. They require a detailed report from the company and how it affects the takeover of Time Warner Inc (NYSE:TWX) as per the reports of payments to Essential Consultants LLC of Michael Cohen published in New York Times and other publications. 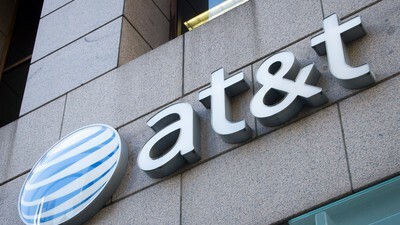 AT&T and the US Department of Justice have clashed about the deal with Time Warner in the court. The cause is being reviewed by a judge in the court.